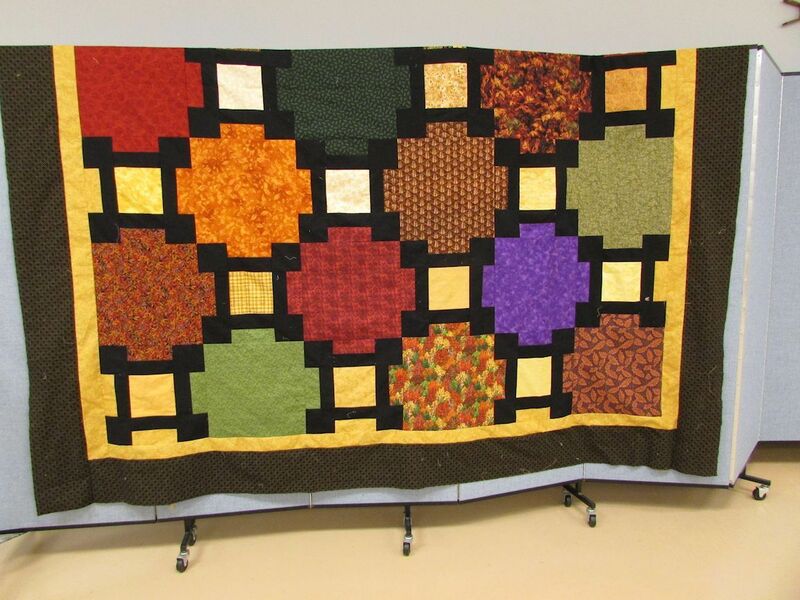 I have been inspired by the STASH REPORTS I see on line every week by prolific quilters. I can not do a STASH REPORT because I am not making quilt tops / projects until I have finished the UFOs I already have. I will be posting progress reports … block by block til the quilts are done. Since I have not sewn much this summer I thought I would evaluate what was stopping me and do something about it. First step was to go through my UFOs, make a list and decide what needs to be next on each one. To my surprise the majority of them need the part I love most …. the FMQing. So I am ranking the quilts in the matter of importance. I then will post each week … probably on SUNDAY night what I accomplished during the week. I will post pictures of the quilt as I go along. ( I already have some pictures of the quilt tops but not all of them.) Tonight’s post will just be the list as I am not planning to sew today as I have to babysit the munchkins. I have collected a series of quilting motifs and FMQ books to use as my patterns for the various projects. I have also taken a number of classes and DVDs to help teach, inspire, keep me on track. Gift for a nursing co worker with cancer. I want it finished before winter is here in MICHIGAN. … that means next week (month.) If you note the dark spots that is a pre treatment with Dawn dish washing liquid as I am having trouble getting the ROXANNE CHALK marker off the quilt. If this does not wash out completely I plan to put DAISY’s over the spots. Daisies are a logo for a nurse’s award in our hospital. 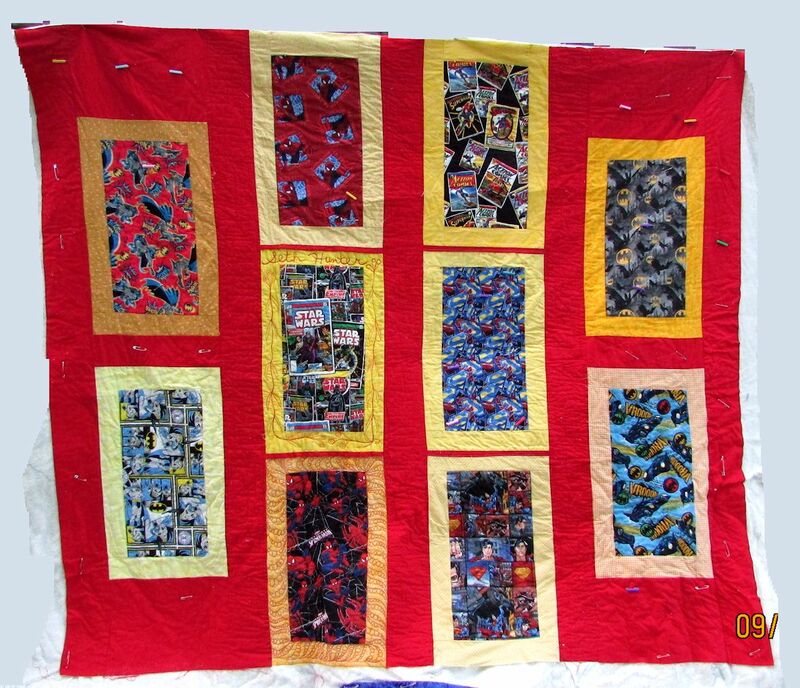 SETH’S SUPER HERO QUILT ….. I only have a few blocks left to quilt then I can square up and bind. This was a quilt I made using the pattern PIECE of PIE from a Craftsy Class. 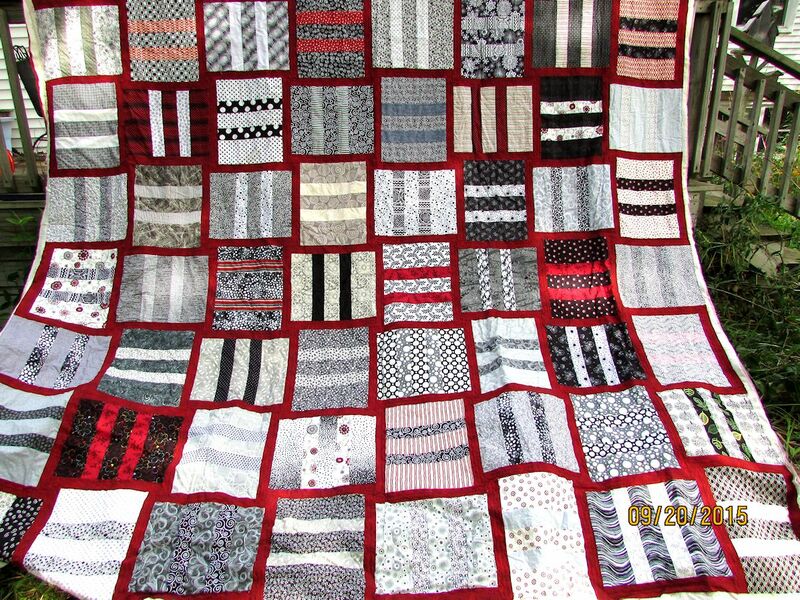 I had collected black and white fabrics ( some with a second color usually red.) Carol Wool also sent me a stack of 12 inch black and white fabrics. I figured out how to consistently cut the fabrics to obtain the blocks with the fabric I had. The blocks were squared up to the same size then assembled into the quilt top. I took the quilt top and had a friend just quilt the sashing. This was more expensive than basting but less expensive then what it would have to quilt the entire quilt. As the quilt is way to big ( king ) for me to FMQ without a secure sandwich. I know other have done it but frankly I want this to be fun. 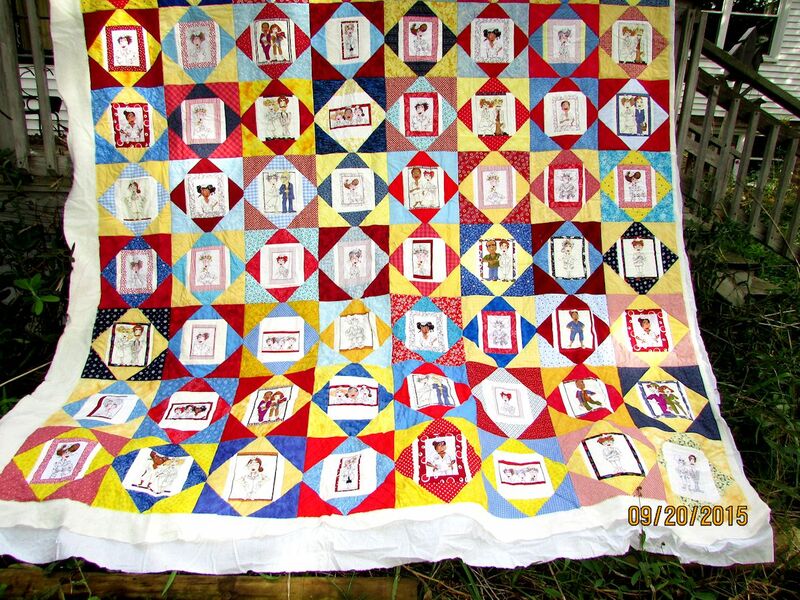 MY RETIREMENT NURSE QUILT …. I had made this square in a square block I saw on THE QUILT SHOW demonstrated by KAREN HALLABY a couple of years ago. Since I had several panels of LORALIE nurses I cut them up, added coping strips then squared my focus blocks to the same size. I then used Karen Hallabe’s technique to make my square in a square blocks. When they were all the same size I assembled my quilt top. Once again I took it to a long armer and had the quilt sandwich stabilized, but this time she stitched in the ditch of the blocks. I had told her to just do the main blocks but she also did the big triangles. She said it stabilized the quilt better and allowed her to travel across the quilt top easier so there was no extra charge. 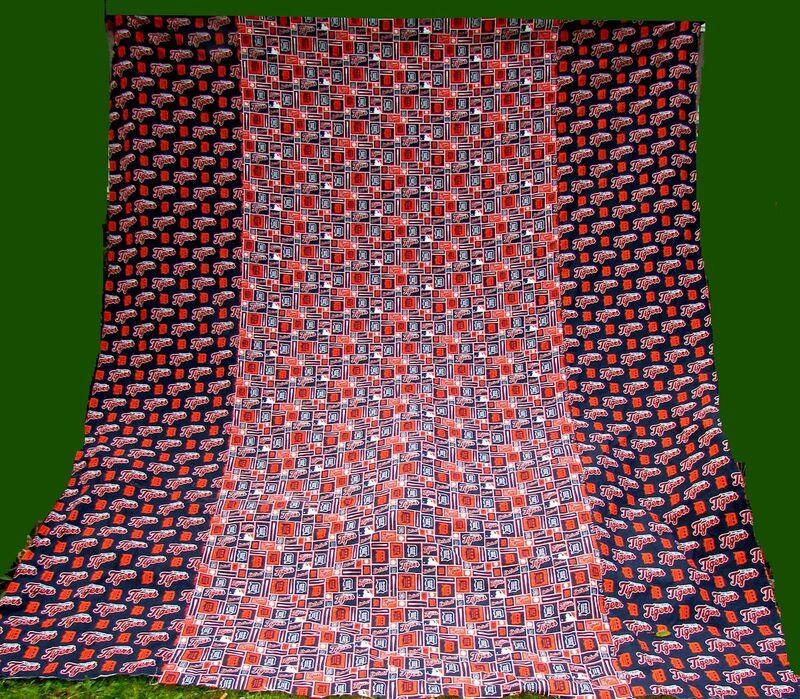 TWO QUILTS that are going to the long armers….. 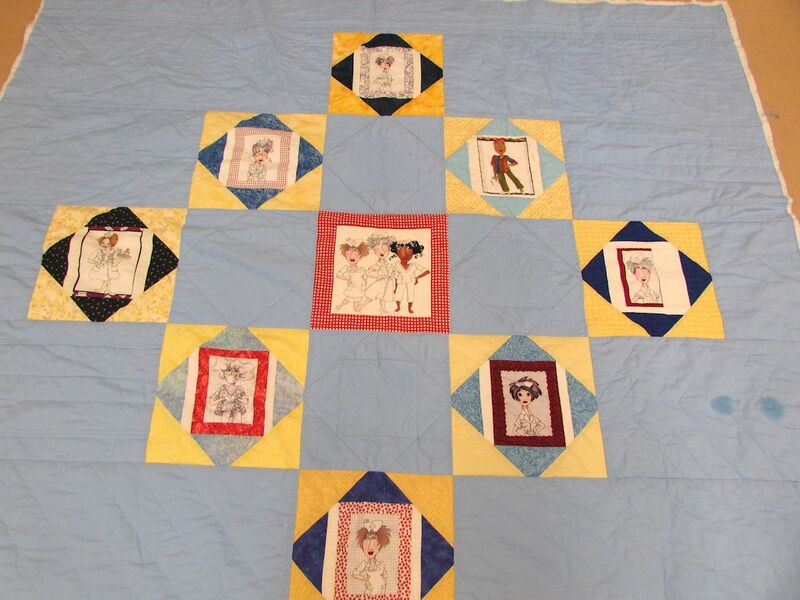 I will be updating this page with new quilt pictures periodically. A quilt for my grandson’s bedroom at grand ma’s house. NeeNee designed the quilt himself. He told me he did not want to have the fabric cut up in small blocks. ( That is what I had planned originally.) He finally agreed, after a lot of discussion, to having the panels split and arranged like this. Okay by me a lot less work. A friend is going to FMQ match stitch style on her long arm.